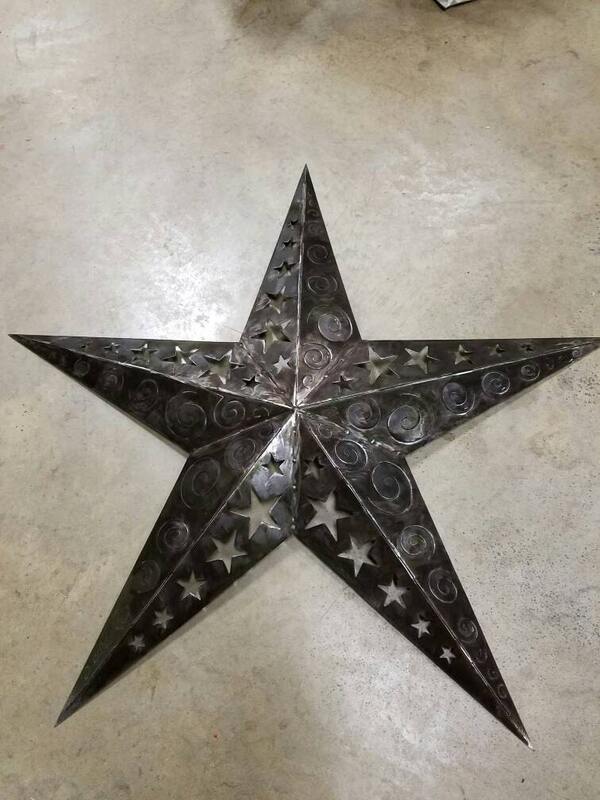 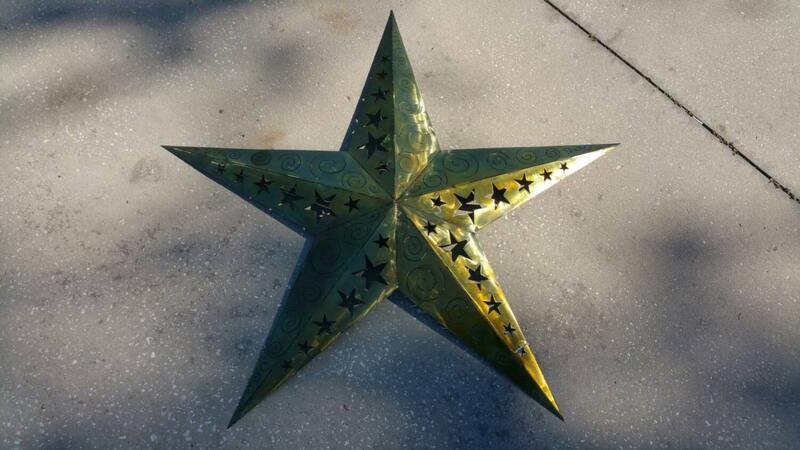 A large 3D star plasma cut from 18g USA steel, then bent, welded, and finished using patina/acid techniques and then powdercoated with clear to protect it. 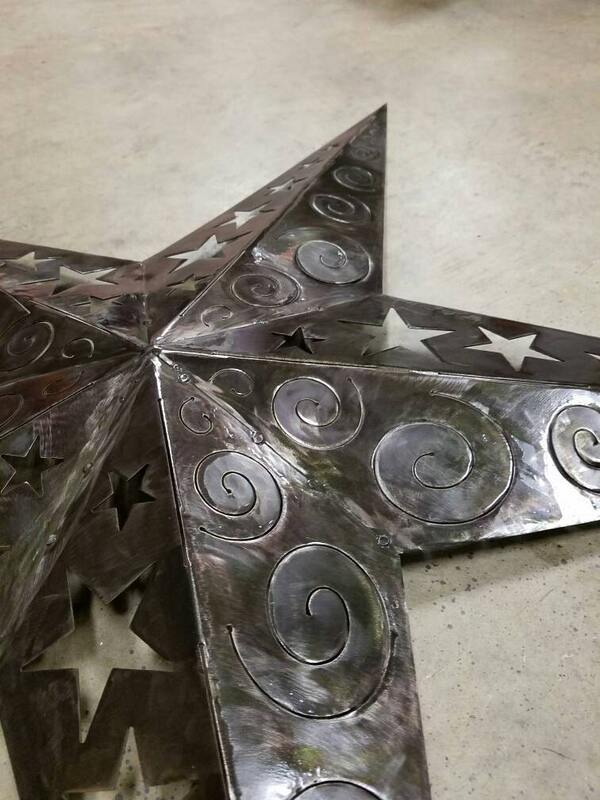 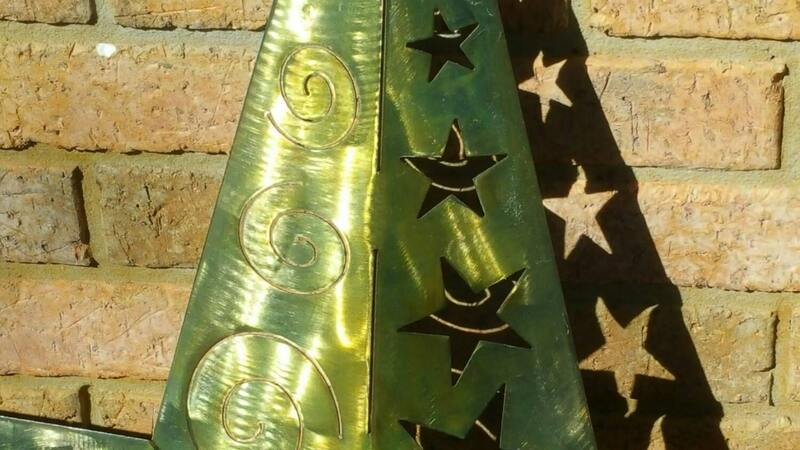 This star has a wire hanger on the back, and would make a striking statement on the side of a house, barn, or even indoors. 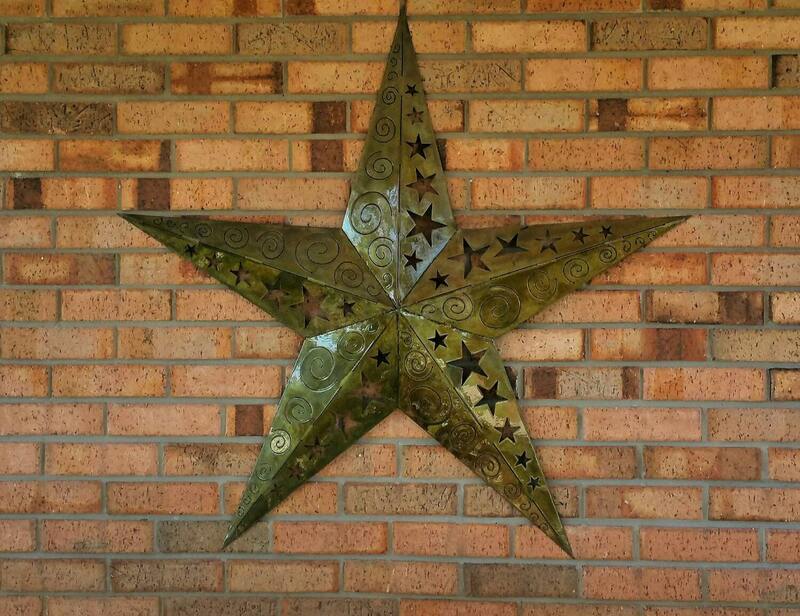 Measures approximately 41" x 41"